Before delving into the finer details of the forehand it is important to see the overall stroke in action. This gives a good idea of what the stroke should look like when done correctly. Without seeing the overall stroke one would have no idea what to strive towards. 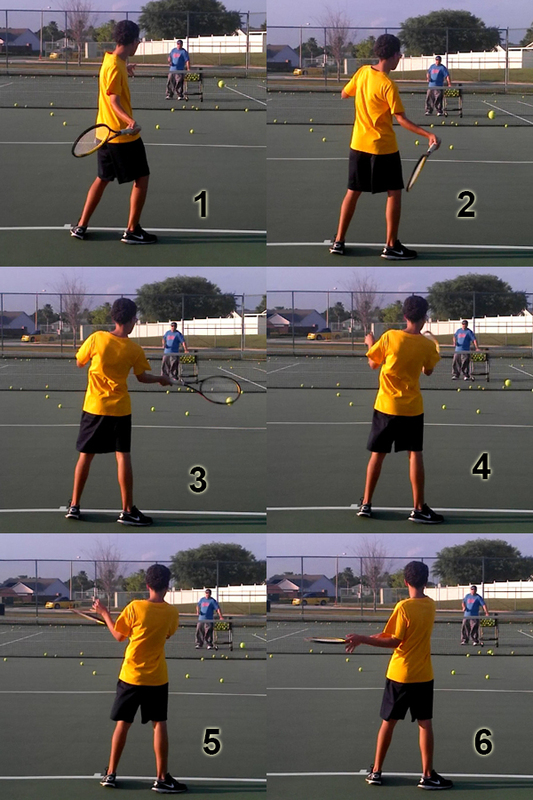 Below are several examples of forehands. Some are of professional players, others are not professionals. In both instances the stroke is essentially the same. I’ve included two different angles one from the side and one from behind. There are several factors about the forehand swing that must be considered before determining “how” to swing. These elements of the swing are constant and rarely change. It’s because of these factors that swinging a certain way allows for more consistent and powerful shots. No truer statement has ever been said about tennis. If you just replace the word “play” with “stroke-production” this quote would pretty much apply to all sports. To take it a step further, this is pretty much a universal law of not only sports, but the universe as a whole. How does this apply to tennis? Physical laws and the actual court dimensions will NEVER change. These are constant values. Whereas coaches theories on how and why to hit a certain way seem to change as much as a blowing wind. Physical laws are typically conclusions based on repeated scientific experiments and observations over many years and which have become accepted universally within the scientific community. Basically these are the laws that make the universe what it is and everyone agrees that they are true. A prime example is gravity. Gravity as it pertains to the forehand is talked about in great detail here, but in general terms it has many effects on the game of tennis. No object can overcome the effects of gravity. In tennis gravity affects many things. It affects the ball. It affects how high the ball bounces, how far the ball travels in the air before it hits the ground and how high the ball travels over the net. Gravity also affects how fast the racquet drops during the forehand swing. It also affects how high a player can jump. Another physical law that affects how one plays tennis is friction. 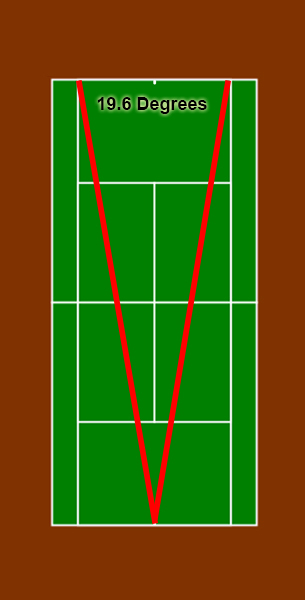 Court surfaces tend to vary in roughness. The rougher the court the slower the ball will come off the surface due to the courts increased friction. Friction will also determine how high the ball bounce off the court. The surface of the tennis ball is also greatly affected by physical laws. The rough surface creates drag on the ball as it travels through the air which helps to slow it down it also creates friction which makes it easier to hit spin on the ball. Wrong tennis strokes can also affect other physical laws. Swinging too early or too late can adversely effect the momentum and/or inertia of the racquet making it more difficult to control the racquet. It can also get your body out of sync with your racquet making it difficult to hit consistent shits. Unfortunately, on the tennis court most people fight against these physical laws instead of using them to become a better player. Swinging correctly can take all these physical laws and help someone hit the ball faster, get better spin and have better control. For a complete description of court dimensions click here. The tennis court is only three feet away from being three times as long as it is wide. From the baseline you have less than 20 degrees of area to hit the ball into. This basically means the court is rectangular and very narrow. Most people think the court is much wider than it actually is. A great little test for yourself to see if you know the actual court width is to stand yourself right on the hash mark of the baseline. Close your eyes and put your racquet directly in front of you. Then, with your eyes still closed point your racquet to where you think the corner of the singles court on the other side of the net is. Then, open your eyes. More than likely you will end up well past the singles sideline corner! Because of this tennis swings need to mimic a rectangular motion. That is why the swing needs to be vertical. A vertical swing keeps the ball moving more in a straight line than a horizontal swing will. Horizontal swings tend to move more to the left and right. Horizontal swings would work well on a round court, but not a rectangular court. Another aspect of court dimensions is the net. 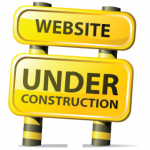 For a greater description on the net click here. The net is a high obstacle that makes a player have to lift the ball over the net. Once again a vertical swing is much more advantageous to lifting a ball over a high obstacle then a horizontal swing is. Horizontal swings will tend to make balls land in the net as the horizontal force will tend to keep the ball lower than a vertical force would do. The most important aspect to any effective tennis swing is whether the ball lands in or out of the court. It really doesn’t matter how hard one hits the ball or how great the player looks while swinging if the ball lands out, they lose the point. The number one consideration of any element of the swing is whether it makes it easier or harder to get the ball to land in the court. One of the reason people who push the ball are effective is that their swings are very compact and hence, more efficient. This gives them few opportunities to mess up the swing. Pushers are a formidable opponent for beginning and intermediate level players because they get almost every ball back into the court, they put the pressure on their opponent to do the same. Pushers rarely give advance players much of a problem though. It is important to know how physical laws and court dimension impact tennis strokes. One can either use them to their advantage or they can be obstacles to ones success. By learning to swing correctly you can use these laws to help you instead allow them to hurt you.